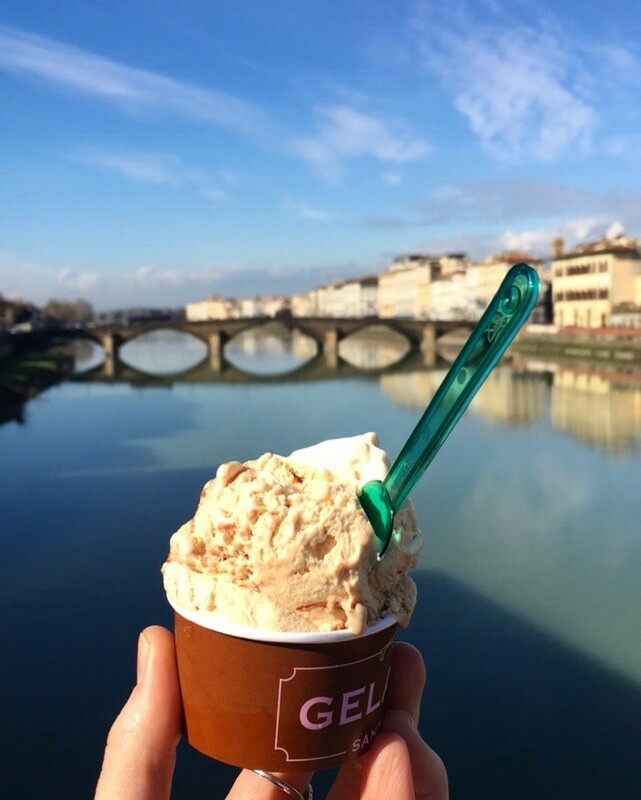 One of the most central aspects contributing to my time in Florence has been my elective class: The History and Culture of Food in Italy. I’ve mentioned it in past blog posts, but haven’t given this once in a lifetime class nearly the attention that it most certainly deserves. So here it goes… I hope I can do it justice. 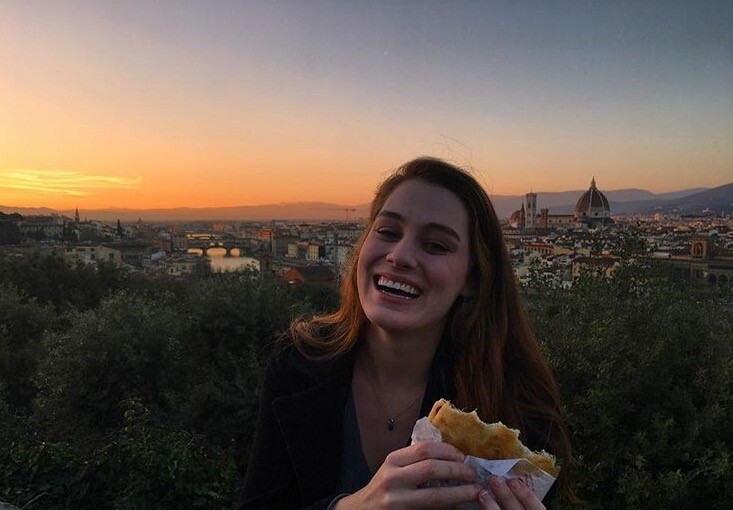 Months before my departure to Florence, after reading descriptions of the culture courses my study abroad program offered, I decided that I wanted to take the food class (the other options were Art History and the Sociology of Love– both of which students in my program are currently thrilled to be taking). In reality, after seeing the word “food” in the course title, no further reading was necessary; the class chose me. The enrollment period came around in December of last year, and having had friends go through my exact study abroad program in the past, I was advised to set an alarm for an ungodly hour in order to sign-up immediately, and ensure my spot in this highly coveted class. Due to the different time zones, unsure of when the enrollment email would find its way into my inbox, and mostly because I am neurotic, I set an alarm to go off in twenty-minute intervals starting at 3:45 am. After almost two-and-a-half hours of 8 jarring alarms, I received the enrollment notice at 6 am. It was a slightly tortuous night of restless sleep—but I reserved my place in the food class, and boy was it worth it! Class itself is always something to look forward to. 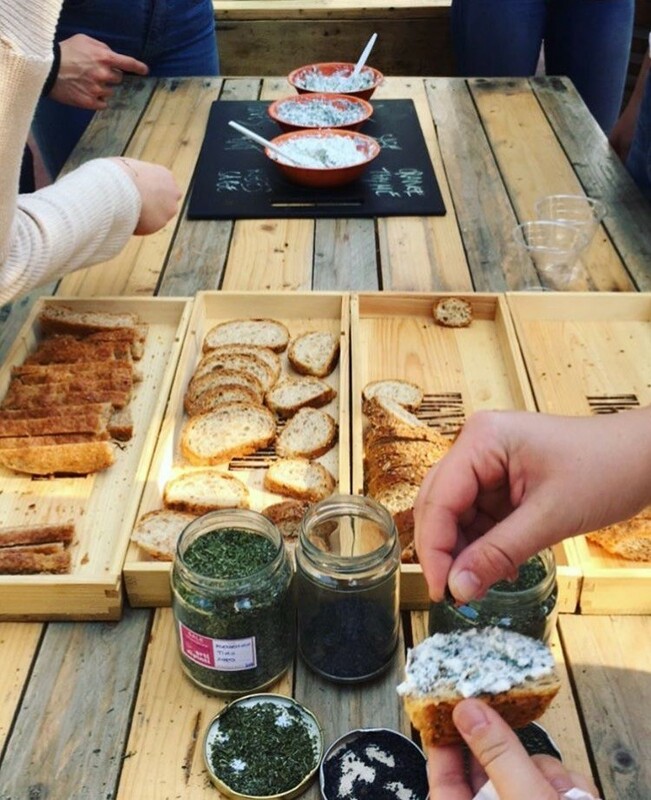 Every Tuesday and Thursday, Peter begins lecture by asking us students to share stories of interesting food experiences that we’ve encountered since our last meeting. We talk about new dishes we’ve tried, look for the cultural reasoning behind why the waitress rolled her eyes when we asked for a to-go box after dinner, or tell stories of how when we’d tried to order a caffe coretto (espresso with a shot of liquor) but, lost in translation, received what we had accidentally asked for: cornetto (a croissant). In class Peter brings Italy to life for me through analyzing the history of the food—one of the most central aspects to human survival in general, and encompassing even more grandiose, far-reaching meaning in Italy, where the meals taste like memories. Peter has taught us some Italian food survival skills, like why a true Italian will never ever drink a cappuccino after breakfast (because the high milk content is thought to be hard to digest). 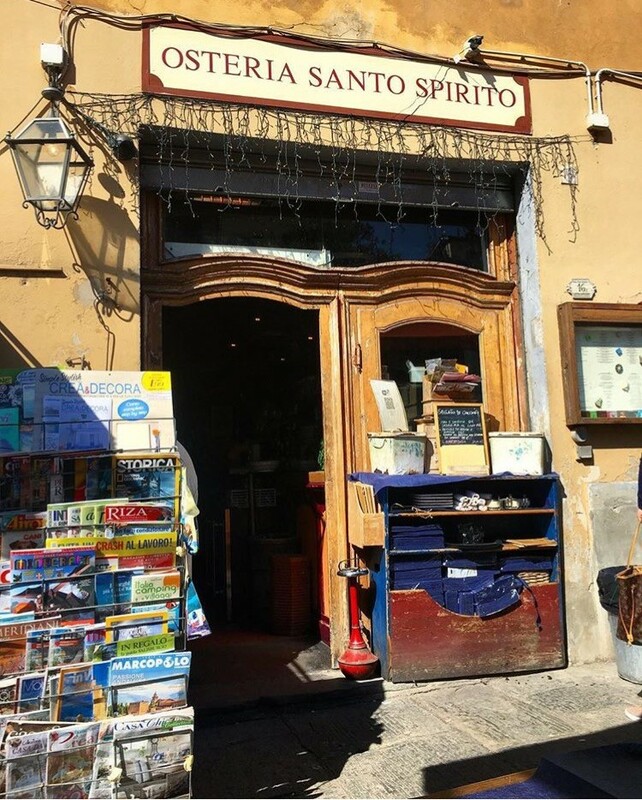 And, I specifically, learned the valuable lesson that an Osteria is not a restaurant that sells oysters, like I’d originally thought and told a friend (sorry Sofia), but rather, typically, a less expensive restaurant. Peter has lectured on a variety of fascinating food facts, like the American fast food movement, and the Italian counter-movement, Slow Food, which was sparked in protest of the opening of the first McDonalds in Rome in 1986. Californian chef and Farm-To-Table advocate, Alice Waters, is the Vice President of the international movement today. We learned that potatoes, tomatoes, and corn originally came to Italy from the Americas, but Italians considered the Native Americans to be cannibals and initially refused to eat the food of “savages.” It wasn’t until a food shortage that the Italians turned to using these American vegetables, however, they made sure to disguise the foods’ original form, transforming potatoes into gnocchi and corn into polenta. We learned that Italy wasn’t politically unified until 1871, and wasn’t culturally united for many years after that. Italians attempted to create a sense of solidarity through their cuisine. Pasta functioned as a unifying symbol, as its different shapes, sizes, and ways of being prepared, represented the regional diversity, but its same basic ingredients signified a one-ness. We learned that during the first wave of Italian immigration to the United States, Italy was not culturally unified, thus there was not yet an archetypal “Italian.” It wasn’t until migrating to America, that Italians, as outsiders, honed their identity and discovered what it meant to be “a true Italian,” all while learning how to be “American” at the same time. Studying this, led me to examine what I think it means to be an American, through my own experience as an outsider in Italy. Last week we all turned in our research papers that we wrote with the freedom to discuss the food related topic of our choice. If you have to write a paper, what better topic than food to write about? As long as you have snacks handy in the drafting process. My essay was titled “Dinner the Implications of the Italian Verb and the English Noun” and writing it, made me even more enchanted with the Italian family style dinners. Besides learning in the classroom through remarkably engaging power points and lectures, Peter has taken us on numerous field-trips (like on a chocolate tasting!!) that I will remember even more fondly than the crunchy, savory, taste of my most favorite panini. 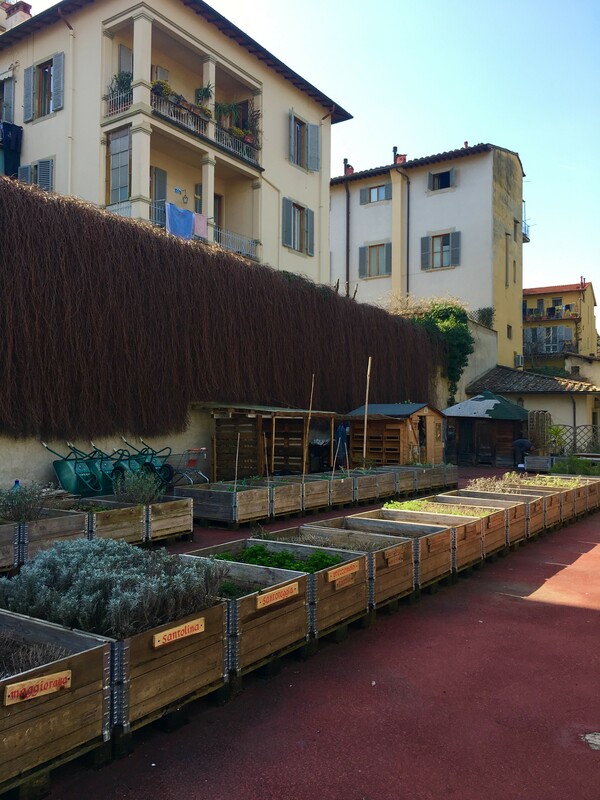 This Thursday, Peter walked us over to the Florentine Community Garden. 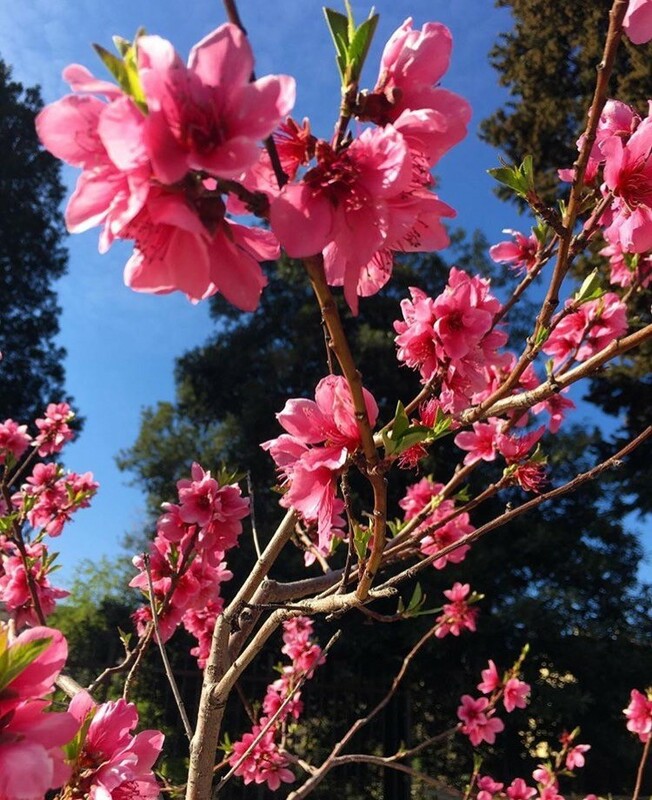 The old running track, turned herb garden, was covered in raised plant-beds, and pink flowering trees (happy spring!). 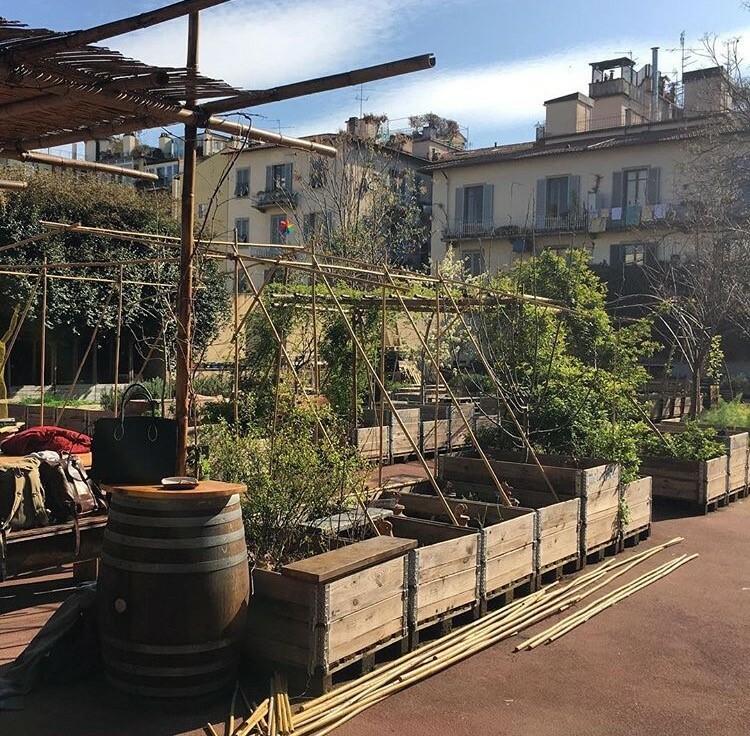 We met Giacomo, the gardener, at the entrance, and in his hip, plaid flannel shirt and light blue jeans, he looked more like he belonged in San Diego than amongst the other peacoat- enthusiast, leather-shoed Italians. 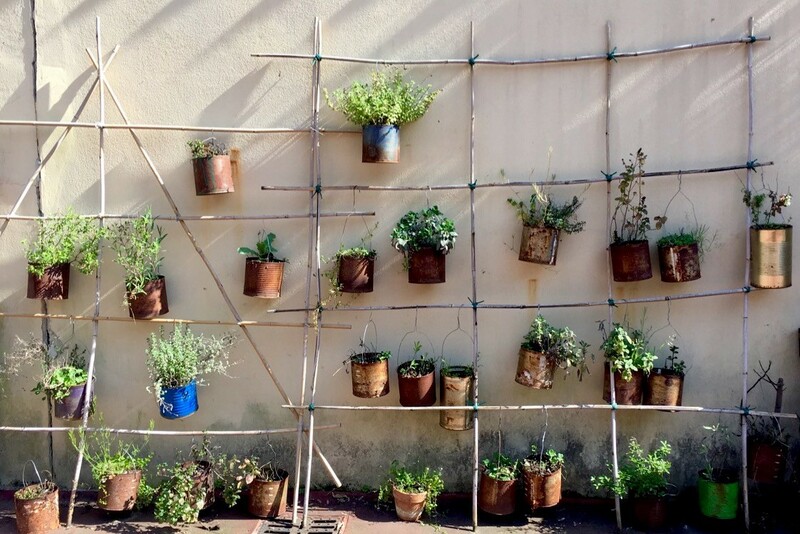 Giacomo showed us around his sustainable herb garden, focusing most proudly on his composting, his rainwater supplied bathroom sink, and his fishpond that serves as mosquito repellent. We walked around the garden, admiring all of the unique hybrid herbs Giacomo was growing– lavender mint, cranberry sage, tangerine thyme, just to name a few. As a class, we decided on six herbs to pick, and then we each took turns chopping them up as finely as possible. 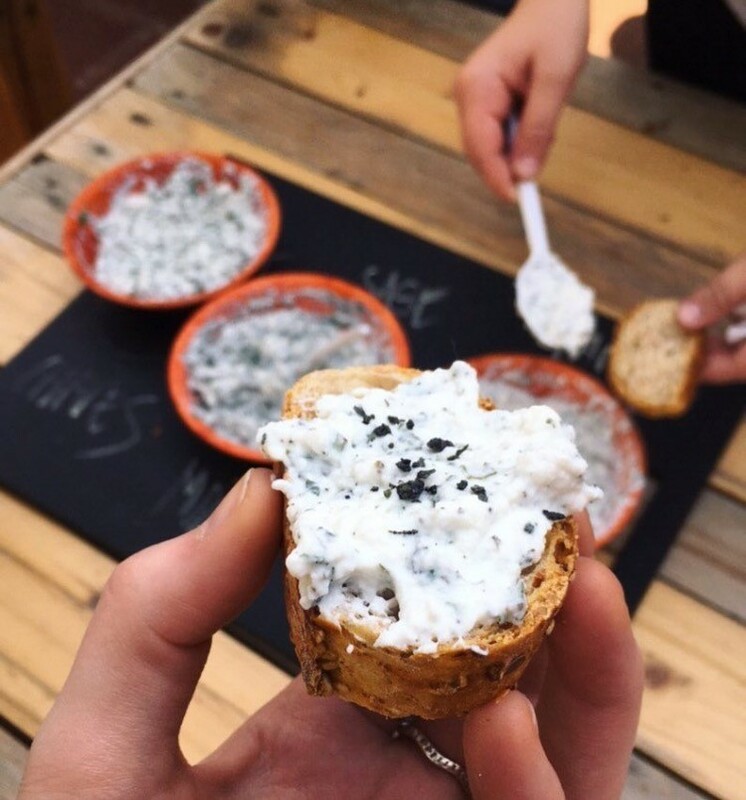 Once the herbs were hacked to a pulp, Giacomo brought out a stash of fresh, homemade ricotta, separating it into three small bowls. We then combined two chopped herbs into each bowl of cheese and stirred thoroughly. We were given delicious bread and slathered it with ricotta, along with various salts to add if we wished. 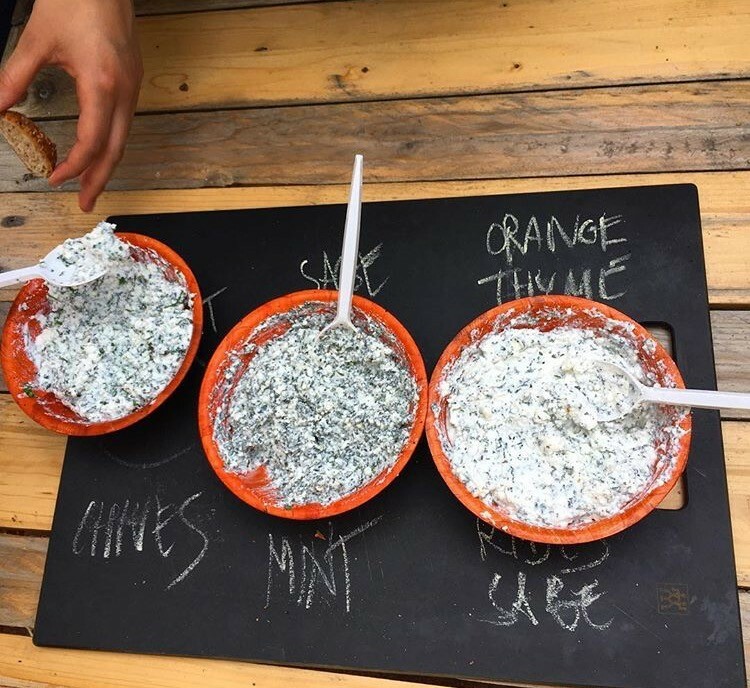 All three of the herbed ricottas were absolutely delicious, but my favorite was the lavender mint and chive with a pinch of black, Greek salt to top. 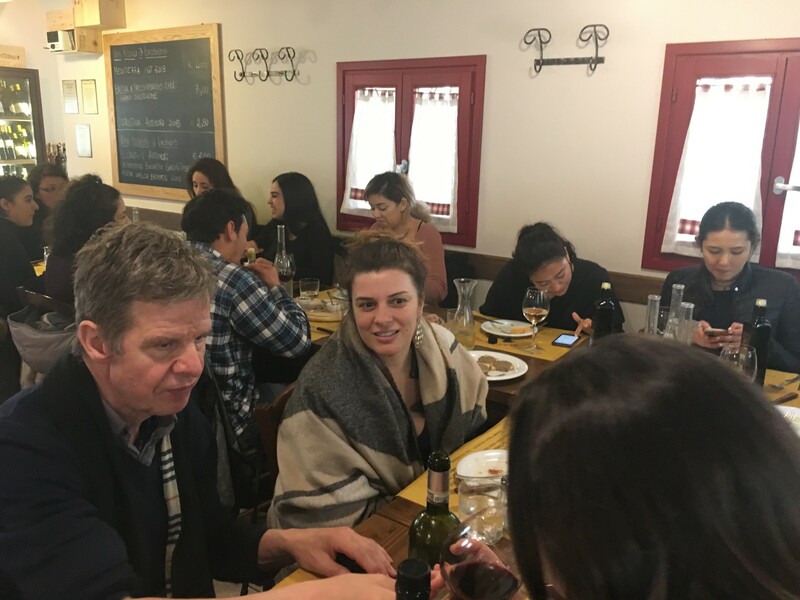 Two weeks ago, our class of twenty took a daylong field trip to a small winery in the most enchanting chianti countryside. 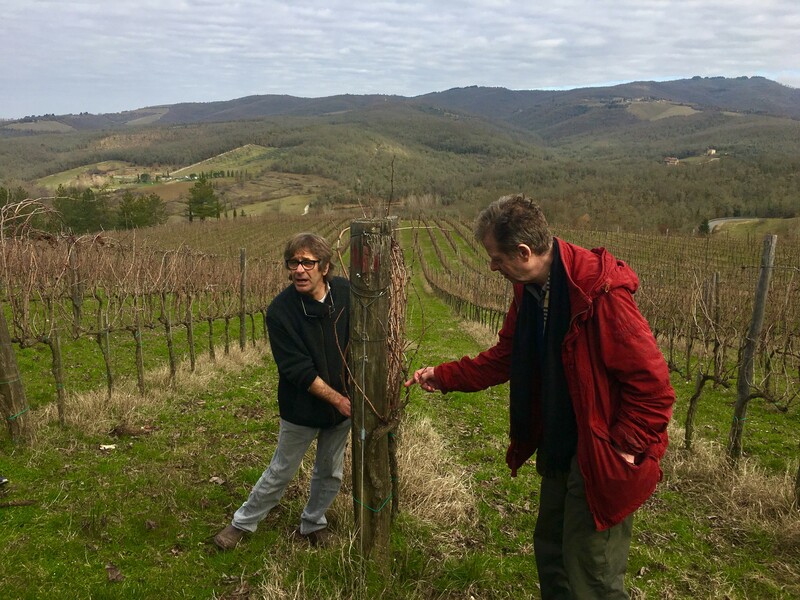 Chianti Classico wine maker, Paulo, walked us around his vineyard and taught us about growing grapes and the fermentation process. He brought us into his old stone house and showed us his downstairs cellar. 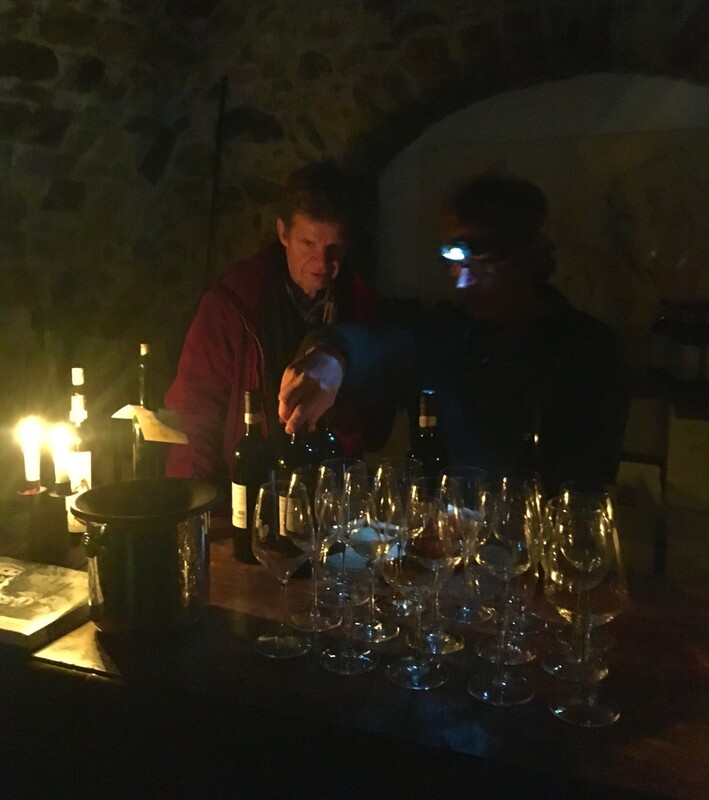 The electricity was out, so we did our tour and wine/olive oil tasting by candlelight. It was a far cry from any school field trip to the local library I’d ever been on. 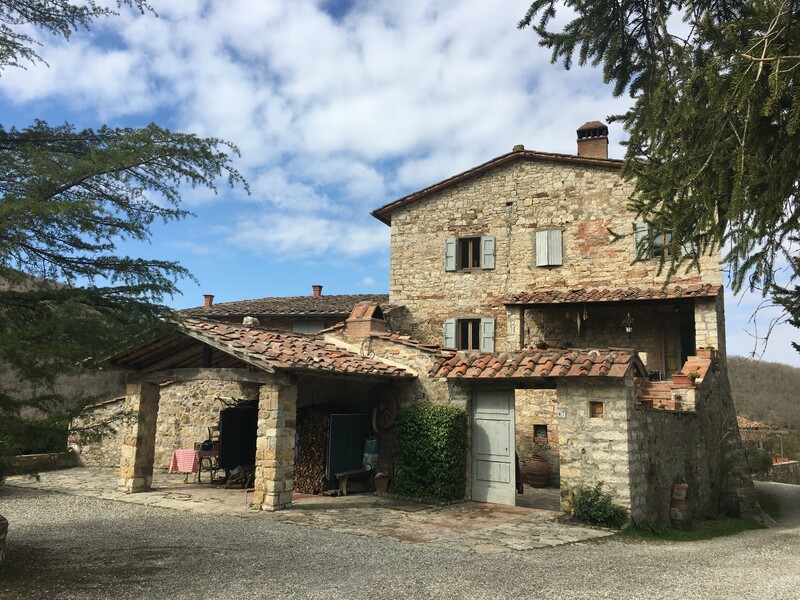 After the winery, Peter took us to a small town to eat lunch and drink some more wine at a bustling, down-to-earth Trattoria where we (definitely) over-indulged in a four-course meal. Our giant meat and cheese plate, was followed by a heaping portion of pasta e fagioli (pasta in white beans). A mixed-meat tagliatelle was next (I’m always a little weary of “mixed” meats, mostly because I’m afraid of eating horse… but if I didn’t think about it too much, it tasted good). Then came the pork stew, which was followed by the dessert wine, delicious biscotti, dense chocolate cake, and the concluding coffee, of course. By the end of lunch, none of us could walk straight—mostly because we were so full (as if we had eaten a horse) but also the wine certainly didn’t help. Somehow, we managed to waddle back to the bus that carried our very full bodies back to Florence. 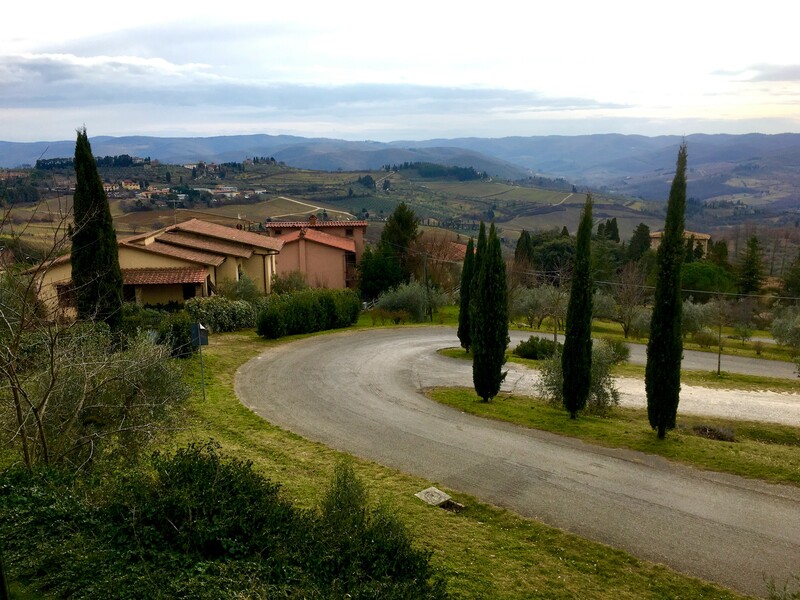 On that ride home, feeling happy, plump, and satisfied, I stared out the window as we wove and winded through the most breathtaking Tuscan countryside. Seeing the vineyards that braid their way up the mountainsides, come and go from my line of sight, I couldn’t help but think about how this was unlike any day of class I have experienced, or will ever experience again in my life. I am one lucky foodie.